Hospitals are extremely valued institutions in Connecticut. As sites of life, death and healing, they hold huge emotional meaning for many of us. They are also critical to Connecticut’s economy and are often the largest employers in the towns where they are located. 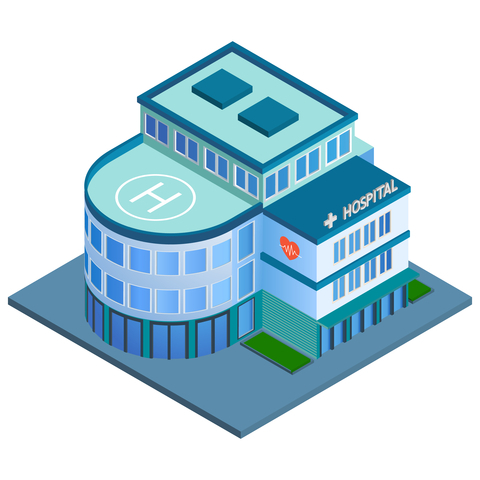 Existing hospital systems are growing larger and the remaining independent hospitals are seeking partners. The possibility of as many as five hospitals converting to for-profit status and becoming part of a large national company, Tenet Healthcare, was imminent until very recently. To add to this, hospitals are acquiring physician practices at an accelerated rate. Just today, it was announced that Saint Francis Hospital in Hartford will become part of a national chain. Because hospitals hold such a central role in Connecticut’s communities, these changes are and will continue to have a major impact on our state’s residents. Yet, how much is the typical person aware of what all of this change means to them? Universal Health Care Foundation of Connecticut believes that Connecticut’s residents deserve to know more about the acceleration of hospital mergers, possible conversion of non-profit hospitals to for-profit entities and hospital absorption of physician practices and what impact these changes could have on health care costs, quality and access. We have produced several reports, now posted on our web site. One, State of Connecticut’s Hospitals, uses tables and graphs to provide a profile of the current hospital landscape. In addition, we commissioned a paper, Hospital Consolidations and Conversions: A Review of the Literature to provide an overview of the possible reasons for these trends, as well as their potential impact. We also compiled an Executive Summary of the literature review. Along with making these reports available, we have and will continue to blog regularly about changes occurring with Connecticut’s hospitals. It is also important to note that in the 2014 legislative session, two bills, PA-14-168 and PA-14-145 were passed that enhanced government’s ability to protect consumers from some of the possible negative consequences in the shifts occurring in the hospital environment. Right now, further inquiry is underway. The Bipartisan Round Table on Hospitals and Healthcare is meeting regularly. The goal of this group is to, “…discuss the rapid changes in the health care market and develop policy recommendations to help ensure continued access to affordable quality care in Connecticut.” And the state Comptroller is investigating the appropriateness and reasonableness of hospital outpatient facility fees, which are on the rise due to the increase in hospital-owned physician practices. All of these documents and links are intended to provide information to Connecticut residents. We also hope that the information will prove useful to policy makers as they consider appropriate responses to the very real consequences of the shifts in the hospital landscape in Connecticut. This entry was posted in From the Foundation and tagged Hospitals, Legislative, Mergers. Bookmark the permalink.